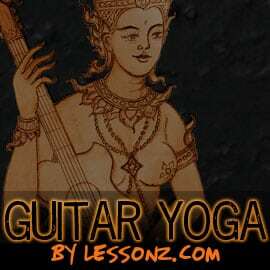 A few years later – enter Yngwie Malmsteen. Thanks to the liner notes, I learned that the melody was a quote and came from the Adagio in G Minor by Italian Baroque composer Tomaso Albinoni. Tomaso Albinoni? Who’s that? How come I had never heard of Albinoni before? Why are other Baroque composers like Bach, Vivaldi and Händel known and famous and Albinoni, the creator of such a great melody, (relatively) unknown and obscure? It seemed unfair to me, but I found solace in the thought that at the least this great melody had survived and got played. And isn’t the music what matters, anyways? Initially, this article was supposed to end here. My original intention was to feature the Adagio and maybe muse about why a certain piece just speaks to you for a paragraph or two. How can Albinoni’s Adagio NOT be by Albinoni? 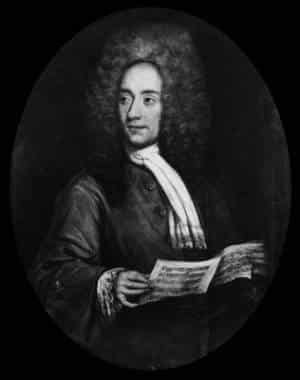 The ascription to Albinoni rests upon Giazotto’s purported discovery of a tiny manuscript fragment (consisting of a few opening measures of the melody line and basso continuo portion) from a slow second movement of an otherwise unknown Albinoni trio sonata. According to Giazotto, he obtained the document shortly after the end of World War II from the Saxon State Library in Dresden, which − though its buildings were destroyed in the bombing raids of February and March 1945 by the British and American Air Forces − had evacuated and preserved most of its collection. Why didn’t Giazotto claim the composition from the start? Why was he originally only listed as the arranger? What was going through Giazotto’s mind when people referred to his composition as Albinoni’s? What about the mysterious Saxon State Library second-movement fragment? Why is it only a fragment? How long will the piece live on as Albinoni’s Adagio before it becomes Giazotto’s Adagio? You don’t need to know the answers to enjoy the Adagio and in case you don’t like the Adagio to start with, you definitely couldn’t care less about those questions. And that’s ok, too. However, I’d like to propose that you take one of YOUR favorite pieces and ask some background questions about it. What sparked the composer’s creativity? Any unusual background stories behind the piece? How was the initial public reaction? Did the public reaction change over time? Imagine that you are a detective hunting for some information, only that it’s NOT about some crime but for your own enjoyment. When you learn something about the composer, the time period, the place and culture of the piece – you are creating a web of related and inter-connected facts and ideas that will create a richer, more colorful listening experience for you. Also, ask yourself why a piece grabs you? Who knows, not only will you learn a thing (or two) about music history, theory, arranging, etc… you actually might learn something about yourself and what pushes your musical buttons. P.S. 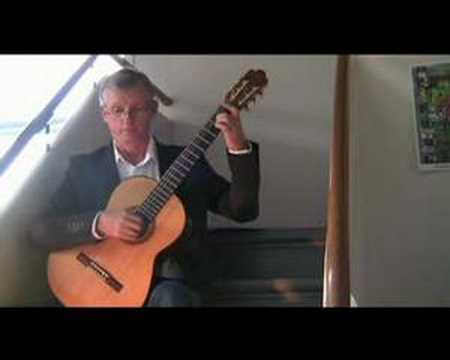 : If you are a guitarist, make sure to check out Per-Olov Kindgren’s version. His transcription is very accesible and quite easy to learn. Is there a piece that “gets” you anytime you hear it? Anything that you could maybe emulate and incorporate into your own compositions? Since the subject attracting me to your site was Albinoni’s Adagio G minor, which now is becoming the swan song of Remo Giazotto… I should not care.. since we have the Adagio… but it does bother me. I can understand both versions of the tripod, Albinoni’s versus Giazotto’s and us, the fans, the listeners, the feelers, the wounded, the sentimentals, “us” who were perhaps meant to receive this miracle of sound, this perfection. Unless the creator could not help put in music the anguishing human questions. If anyone is interested in the birth of this incredible adagio, please, lets do it here. Thank you for your article. My love of this adagio dates back to the 1970’s when a very young Mel Gibson starred in an Australia film called Galipoli, – about an ill-fated WWI unit of soldiers. The theme played as the soldiers were murdered, and, as a student, I never forgot it. I have had several versions in my classical collect but this is the first time I heard about a controversy regarding the actual author. Thank you for this insight! I didn’t know that the Adagio was used in Gallipoli. I’ve heard of the movie, but haven’t seen it yet. But now, after your comment, I just watched a few clips on YouTube including the Final Wave scene where the Adagio was used. What can I say, it’s both sad and powerful and the melancholy mood of the melody fits perfectly to that senseless sacrifice of lives. I guess, I’ll have to watch the full movie next weekend. I first heard the Adagio from my mother’s “70 Great Moments In Music” collection back in the 70s. I loved that particular version of it. Not all versions use organs and strings and this one did, beautifully. It’s hard to describe my emotion now after just hearing that Albinoni may not have been the composer. For some reason it feels like a betrayal, despite the fact that in many ways it doesn’t really matter who wrote it as long as it was written. It is my single most adored piece of music. The melodies tug at me and carry me in beautiful directions. In any case I came here looking to see what year it was released and can only gather that it was in or after 1945, which is much less romantic than I had imagined. But still, kudos to whoever actually put it together. Sorry for being the bearer of bad news. But it’s good to see that you’ve already been getting over the initial sense of betrayal and into kudos mode again. 😉 And… I’m positive that this renewed feeling of appreciation will only deepen with the mystery added into the mix. A co-creation by 2 gifted musicians living centuries apart, based on musical fragments that survived the horrors of World War 2, resulting in such a hauntingly beautiful piece – what’s not to love?!? Anyways, thanks for taking the time to comment. It’s a gorgeous, sad piece of music, used effectively in “Gallipoli” and, more recently, in “Manchester by the Sea.” My main question is how did they determine that this fragment of music was written by Albinoni? Was his name on this tiny fragment? Also, where did the Saxon State Library move this and other items? Somewhere else in Germany, perhaps a rural area less likely to be bombed by the Allies? Thanks, Marko. Indeed, we can still enjoy the extraordinary music. And some mysteries are, for some reason, best left unsolved. It adds to the fascination. Thanks so much, this was fascinating. I just heard the piece for orchestra on Classical FM whilst driving – Instantly fell in love and came home to google and found this! What a story. I’d love to know why we still refer to it as Albinoni.. Anyway. It’s just a beautiful melancholy. I loved the guitar version you posted too. Thanks. Recently I heard the Adagio for the first time and decided that it might work well on mallet instruments. So, I have written an arrangement for a marimba / vibraphone duet. The rich sound of the lowest octave on a marimba sounds great for the base clef part. Also the short sustaining sound of a marimba works well for all of the quarter notes. The treble clef part lends itself well to a vibraphone of which one of the attributes is long sustaining sounds which may be controlled by a damper pedal. Otherwise the sounds pretty much “mush” together. At this time we are in the rehearsal stage — grandson (12) on a marimba and grand dad (80) on a Vibe. His part is pretty easy. Mine is more challenging as I am playing it with four mallets. I will not be using the “vibrato” feature mainly because a Vibraphone does not have a vibrato feature. (Go figure) A Vibraphone may, however, produce a tremolo via a motor driven rotating disc mechanism that opens and closes the tops of the resonator pipes at any selected speed. I tried the tremolo on the Adagio — doesn’t work. Hopefully, we will have our performance on YouTube sometime soon. We are very interested in learning if anyone else has tried to play this piece on mallet instruments. That sounds great – and it’s awesome to read that you have a “3 generations” arrangement. Please do come back and leave another comment providing the YouTube link once you’ve published your performance. I definitely would love to see it. Wishing you lots of fun rehearsing and performing this great piece of music.